The Chicago eight was a group of eight men that were put on trial for crossing state lines and responsible for demonstrating violent behavior. They were charged with the conspiracy of crossing state lines to incite a riot. During the trial, they continued to show no mercy and prove that they were not going to be chained down. At one point, the judge ordered Bobby Seale to be chained down to be strapped to his chair. The trial ended February 1970, the defendants and attorneys were guilty of 175 counts of contempt of court and sentenced to two to four years. The defendants were not guilty of conspiracy, but found all but two men guilty of intent to riot. 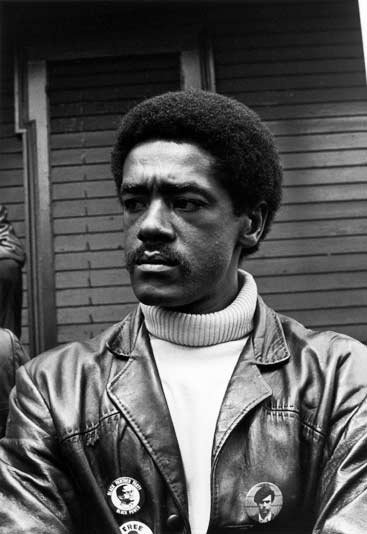 This is a picture of Bobby Seale. He is getting ready to go on trial for protesting.